But in this instance, we're talking about Unidentified Familiar Objects. Jill Mounts Marcelli of Roswell, New Mexico contacted the Lawrence County Historical Society some time back to inquire about the monument pictured above on the right. In the photo were some of her ancestors, and she hoped to visit the site this past summer during a visit to the Black Hills. But where to find it? Our best guest was that it's the monument dedicated to Horace Ross -- purported discoverer of gold in the region. The Ross monument is in Way Park at Custer City. It is in the photo at left above. But -- as often is the case in UFO's -- there seem to be some discrepancies. "It is so very much like the one my great-grandfather is standing in front of in the picture...(but) the Ross monument seems shorter to me and the top is totally different...."
We suspect that it's the same monument, but that perhaps it's been modified in order to stabilize the structure. Or perhaps it was damaged and had to be modified a bit. We've made some inquiries of the Custer County Historical Society and hope to resolve the issue soon. 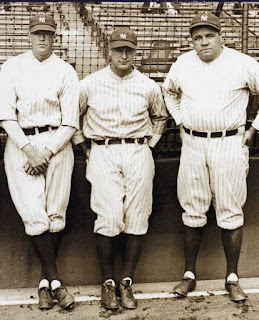 The tall gentleman in the historic photo at the top right (with his hands on his hips) was Will Waldschmidt, Jill's great-grandfather. 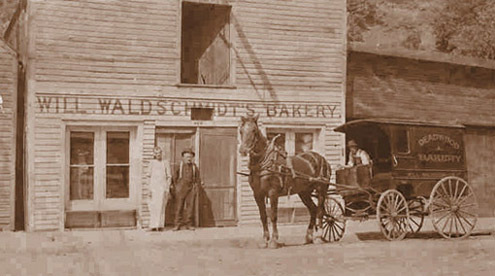 "He worked at the Vienna Bakery until about 1891 when he opened his own Deadwood Bakery," says Jill. The bakery only sold bread and they took the wagon to Lead and Central City to make deliveries every day. The bakery is shown below. Perhaps others can chime in on helping us confirm that the columns in the top photographs are, indeed, the same structures. Or maybe you have ancestors who traded at the old Deadwood Bakery! Simply drop us an e-Mail. We'd like to hear from you. Thanks to Jill Marcelli for sharing these photos and information. 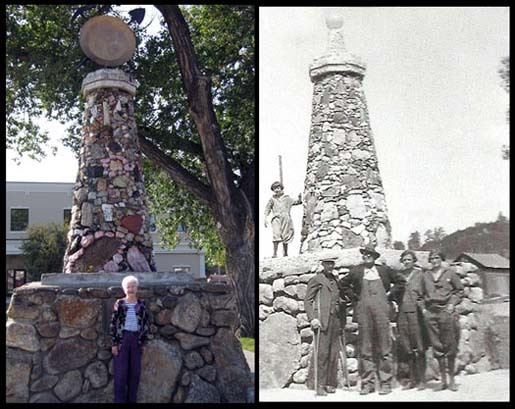 By the way, that's Jill in the above photo at left in front of the Ross Monument in Custer City. The Black Hills certainly had its share of violence during the gold rush years in the later 1870’s, but there’s little evidence that would support the number of killings that some people have claimed occurred. Black Hills State University history professor David Wolff challenged what he called the “myths” promoted by “Deadwood” HBO series producer David Milch and others that there were “one or two” deaths every day. 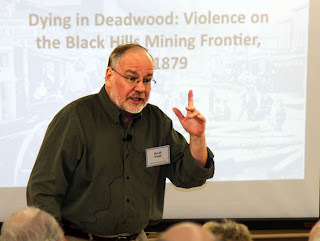 Wolff has done considerable research on violence in Deadwood and the Black Hills region, and he shared the results of that research -- Dying in Deadwood -- with the Spearfish Area Historical society last week (4/10/12) during their April meeting at the Spearfish Senior Citizen’s Center. Much of the violence in those early days took place during what Wolff called the “Early Encounters of whites and Native Americans. In 1875, there wasn’t much violence in the Black Hills. That might well have been because – while there were lots of Indians living in the region – there were few white men. In fact, it was a responsibility of the U.S. Army to keep settlers out. And those who were already in the Black Hills exercised caution. When W. L. Kuykendall -- famous for trying the Jack McCall murder case in Deadwood and as a stockholder in the company that founded Spearfish. – made a trek from Cheyenne to Custer, he reported seeing more than a thousand Indians along the way with no violent encounters. Things changed markedly in November of that year with President Grant started pulling troops out of the region. White folks started rushing in to the hills by the spring of 1876 and with them came a spike in violence. By that time, Indians were required to report to the reservation agencies. There were a few routes used by whites that became particularly dangerous, where Indians would use the terrain to their advantage. Such was the case with both the Sioux Trail and Red Canyon. Sioux Trail was a 40-mile strip running to the northwest from the Spotted Tail and Red Cloud agencies, while Red Canyon was located not far from Custer. It was near Red Canyon that the Metz family was killed in the spring of 1876. Metz and his wife had settled near that area but then decided to return to Colorado. Warned that they should not make the trip alone, they ignored that advice. Metz, his wife, an African-American cook and a wagon driver were all killed by Indians. 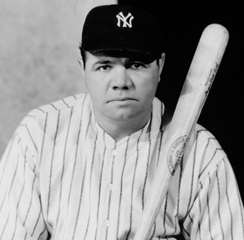 “Where there certainly was Indian violence, there were also guys like Persimmon Bill, who was the quintessential bad guy. 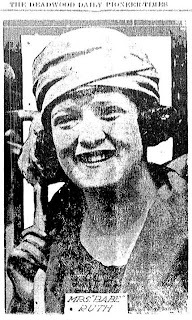 Bill liked to hang out with the natives, and it’s believed that he was part of the party that attacked the Metz family,” said Wolff. Persimmon Bill was himself probably killed by Indians. There’s a sign near Red Canyon Road in the southern Black Hills that marks a spot where the Metz family met their demise, although the sign – says Wolff – is in the wrong spot and is a year off on the date that the event actually took place. Wolff noted that while there was violence on the trail from Cheyenne, the trail coming from Sidney, Nebraska was considerably less violent. Largely, that was due to military posts – like the one at Fort Robinson. Nonetheless, there was what Wolff called a “mini-version” of Red Canyon in the vicinity of Buffalo Gap. On the route up the trail toward Custer, Indians would hide in the cliffs and surprise whites coming across the trail. The violent incidents in the Custer vicinity gave rise to the establishing of a local militia called the Custer Minutemen. However, said Wolff, the group became something of a joke, and it was sometimes said that they were called the Minutemen because that was often all the longer they would be on the trail looking for Indians before returning to Custer. Stage coaches in the region were not immune to the violence either. In April 1876, stage lines opened three stage stations between Fort Laramie and the Black Hills; however, after just a couple of runs, the stations were destroyed by Indians, interrupting that transportation route until later in the year. Interestingly, trail violence died out by the end of June 1876, and according to Wolff, “Everybody was reporting ‘no trouble on the trail.’” Hindsight allows us to better understand that the Native American men who wanted to leave the agencies had already departed the region and were in the Little Big Horn area of Montana. It was on June 25, 1876, that General George Armstrong Custer and his troopers were, as Wolff put it, “rubbed out.” Once the battle ended. many Indians began returning to the agencies, largely following a route across the northern Black Hills. And while violence increased, it was at a level well below what the region had experienced previously. Dr. Wolff did share information about one case of violence that “stands out in the annals of the southern Black Hills.” It occurred on War Bonnet Creek, where some 800 Cheyenne Indians were on their way to join compatriots at the Little Big Horn in June of 1876. The U.S. Army learned of their mobilization and dispatched some 330 men to stop them. They lined up along the hills and awaited the migrating Cheyenne Indians. “And who was there scouting for the Army? 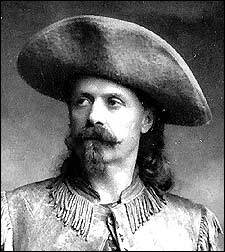 Buffalo Bill Cody, who exchanged gunfire with a couple of the Indians, one of whom ironically was named “Yellow Hair.” Cody shot the Indian and promptly jumped off his horse and collected a scalp, waving it in the air and announcing that this was “the first scalp for Custer.” It was a proclamation that Cody would repeat often during his many Wild West Shows in the years to come. Wolff noted that following the incident at War Bonnet Creek, violence in the southern Black Hills diminished greatly. Miners from Deadwood helped pursue the natives, and a gun battle ensued. Wolff believes that -- among the three white victims in the incident – Preacher Smith was killed. However, he died not near the roadside marker that now abuts U.S. 85 on a hill outside of Deadwood, but well below that site on the trail to Crook City. “Some contend that he was killed by white men. I used to think that, too, but the more I study the events of August 20, 1876, I’m convinced the Indians got him,” said Wolff. A couple of days after that incident, there was an assault on the new settlement of Rapid City. And two men were killed on the road to Deadwood. “People were terrorized.” Soon, there were raids on Spearfish as well. In September 1876, Spearfish residents built a stockade between Fifth and Sixth Streets on Hudson for their protection. And even though documents designed to help quell violence were signed on February 28, 1877, it didn’t subside. Many thought that once the Sioux were removed from the Black Hills, the violence would be over. So native raids continued through 1877. That summer, four men trying to ranch were killed, and a survey party working along the Dakota Territory-Wyoming border were attacked. The Army sent troops from Fort Robinson in Nebraska to help calm things down, “but that didn’t happen” said Wolff. It would not be until the spring of 1878 that outbreaks of violence in the northern Black Hills would really disapper. Dr. Wolff noted that the other sources of violence in the Black Hills involved “Highwaymen” and rowdy customers who made their way to Deadwood. Robberies and attempted robberies by trail robbers called “highwaymen” occurred predominately along the trails from Cheyenne into Custer and Deadwood. Those dastardly deeds didn’t really start until the Indians were gone from the trails, “so you really didn’t see highwaymen until the summer of 1877.” An early major incident was close to Deadwood near the old Puma School along the route where U.S. 385 is located. That’s where stage driver Johnny Slaughter was killed. When confronted by five highwaymen, Slaughter tried to stop the stage, but his actions were apparently deemed too slow by one of the varmits who then “blew him off his horse with a shotgun.” The horses bolted and ran on in to Deadwood. Local citizens tried to catch the highwaymen but were unsuccessful. The highwaymen operated in many of the same locales that had been favorite places of ambush used earlier by the Indians. The next meeting of the Spearfish Area Historical Society will be at 7:30 p.m., Tuesday, May 1st. Hank Frawley will give a presentation on the James Anderson Homestead. Not only will it be the final meeting of the year, it will also be the official Annual Meeting for the organization. Postscript: A 16-page card booklet was published for the special day that Meusel and Ruth played ball in Deadwood. Perhaps one of these rare booklets still exists somewhere? Please send us an e-mail if you know where such a booklet might be located.